Crafty Nadz: What a lovely day. Recently Rob and I went to visit Dad and Bev. 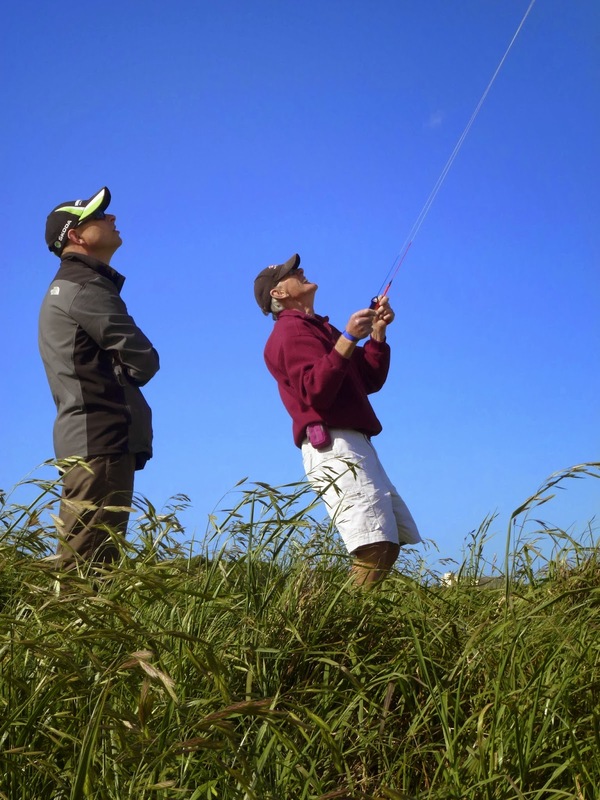 The wind was perfect for kite flying so when we found an open field it was too tempting. We had a lovely time. 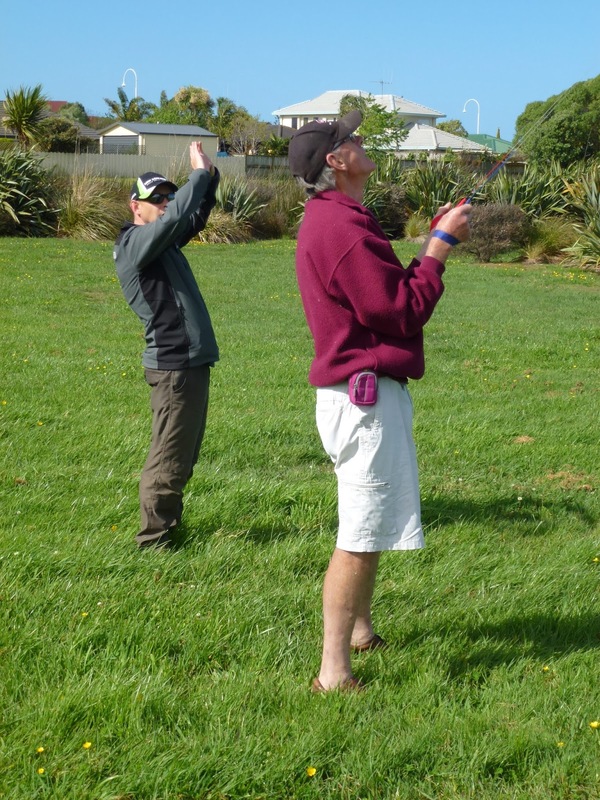 Here's Rob giving Dad a lesson on how to move the kite around. It Didn't take long to get the hang of it. Ayla and I enjoying the fresh air.